This first image (left image) is one of my earlier attempts at digital painting. When I say "earlier", I mean it was maybe attempt number 4? At the time, I was beginning to appreciate designed art. In the recent image (the right one) I said I was going to upgrade the old one to my current style (dirty word apparently). I thought that just meant giving it a bluer tone and some more realistic anatomy. The more I just tried to refine that, the more unsatisfied I was. This made me think what else is there to my style. I realized that I'm not just interested in portraying a scene or character. I want to engage the viewer and understand how I'm engaging him/her. Thus, I tried to look at my art as objectively as I could. 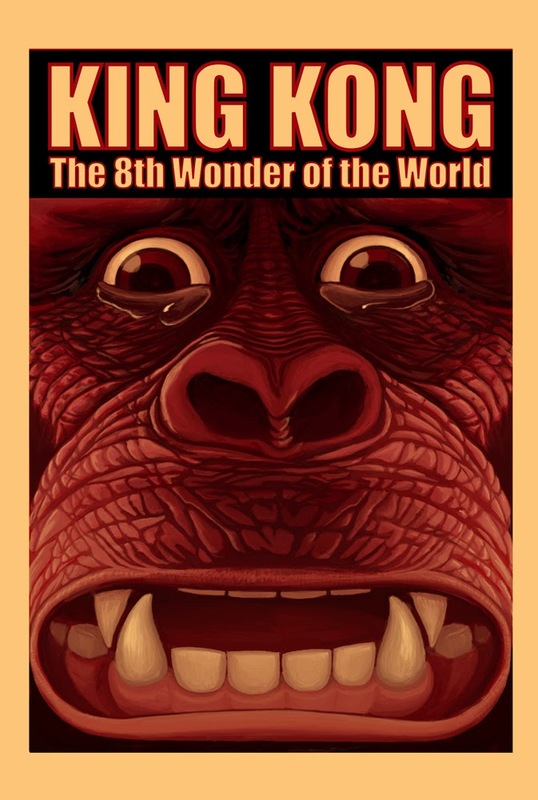 As a viewer, theres a certain amount of sympathy I feel staring at the crying gorilla's eyes. When, I just see him crying, he seems kinda comical like a big sobbing cartoon. 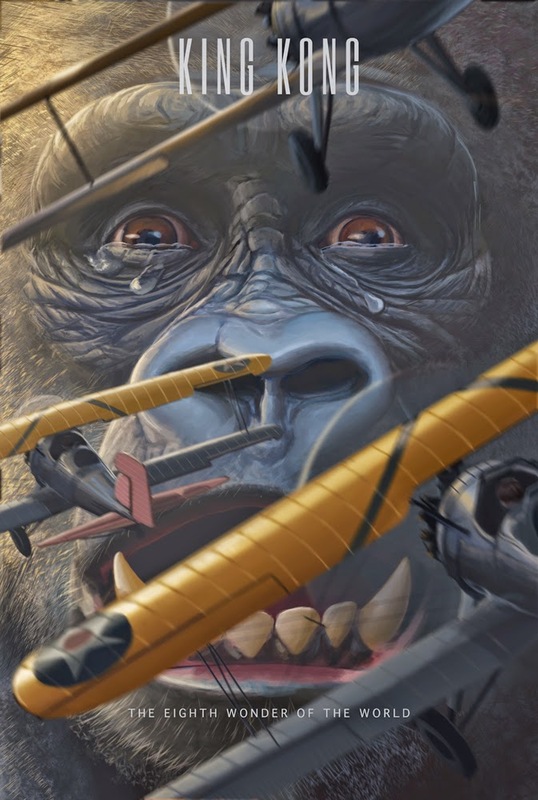 Once I started to think about why he's crying, I experimented with the planes flying at him. With the planes chopping into his face (compositionally) I feel a lot more sympathy for him. Some friends have likened the plane wings to prison bars over his face. So what do I know about my style now? I tend to like cool toned illustrations with anatomy. I also like to think about how the viewer is going to engage the image. ( I think that better art allows the viewer to be an active participant.) I think that composition is crucial for engaging the viewer.